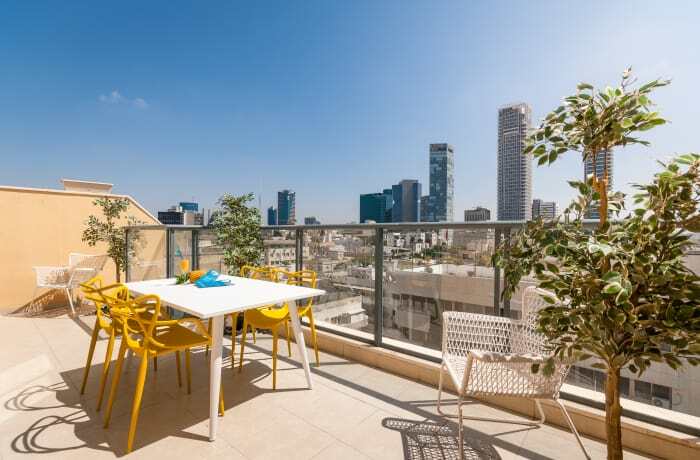 From its stunning outdoor terrace, the 2-bedroom Hashoeva apartment offers marvelous views of the city below. 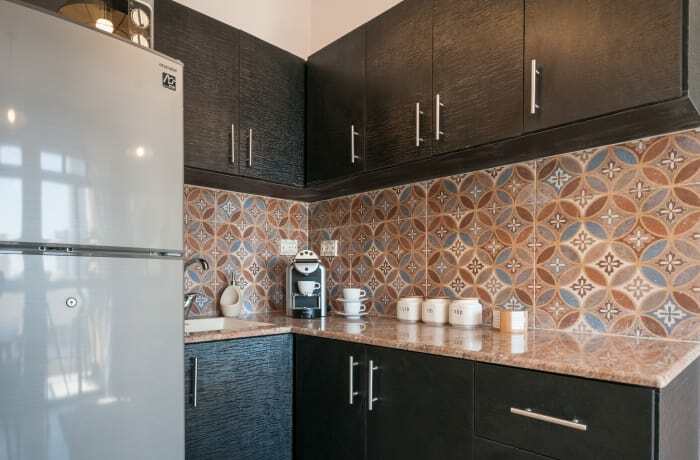 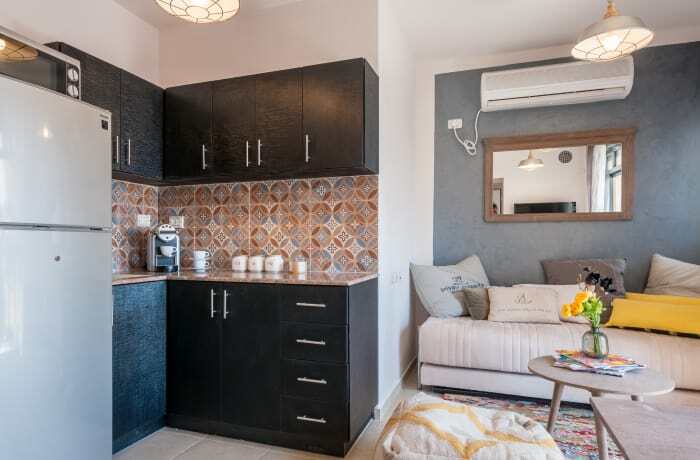 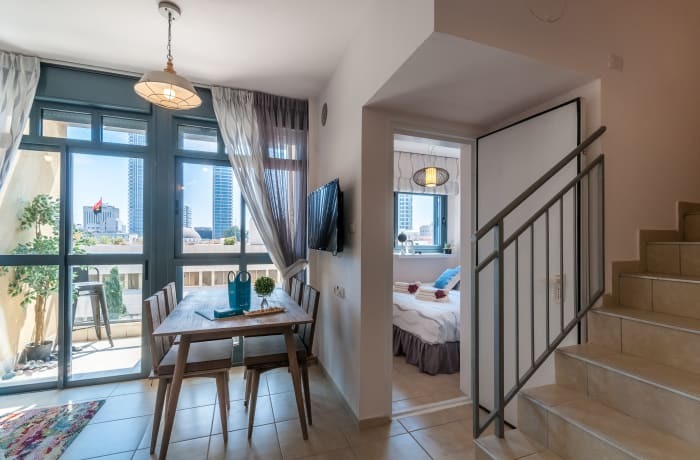 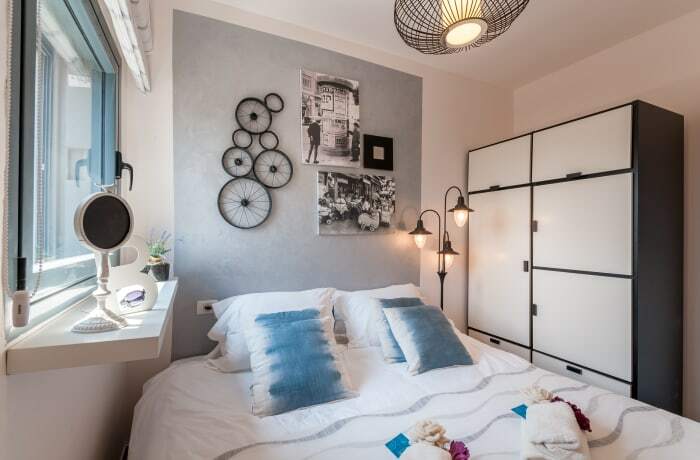 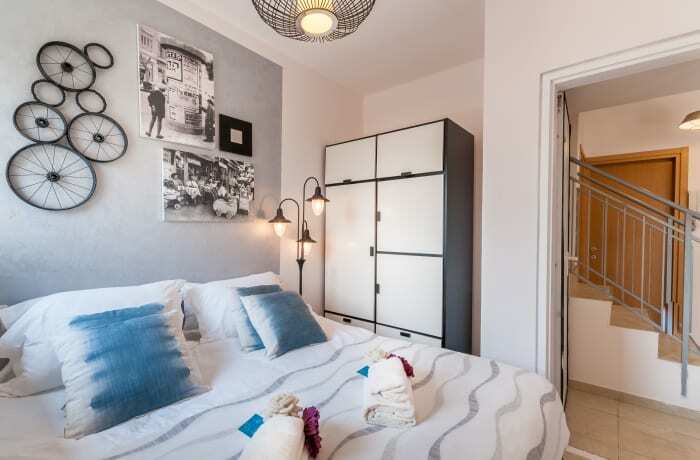 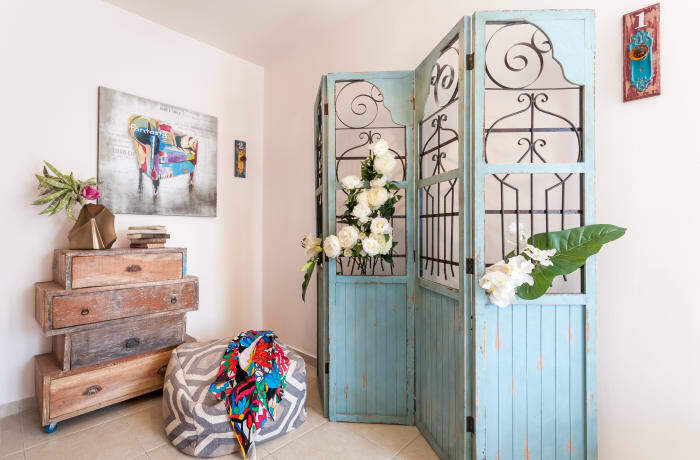 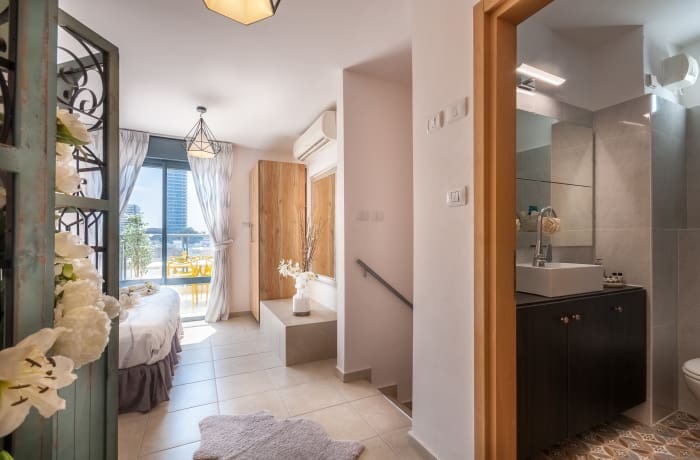 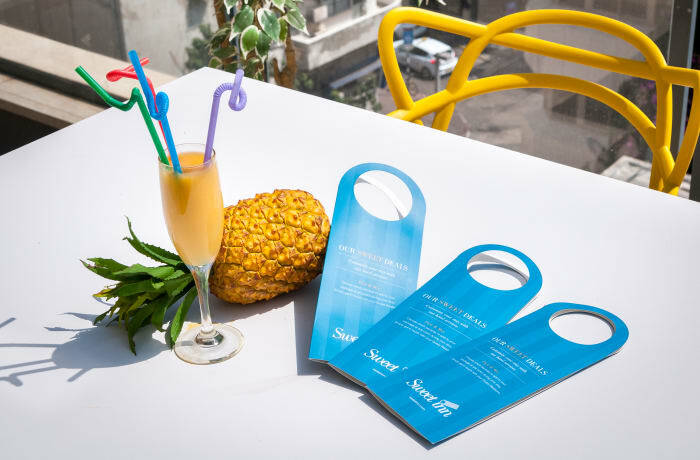 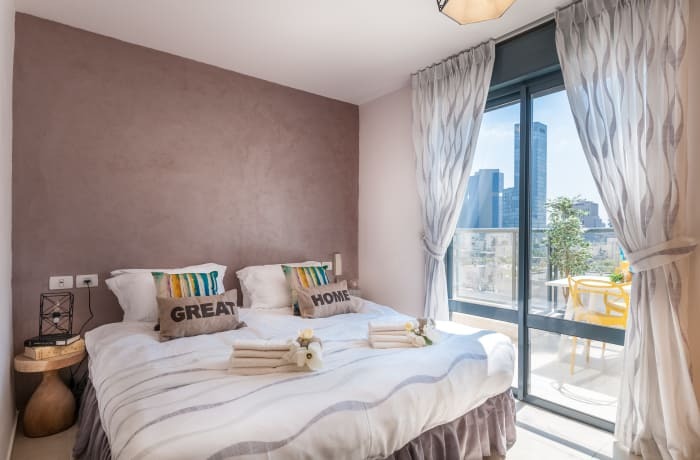 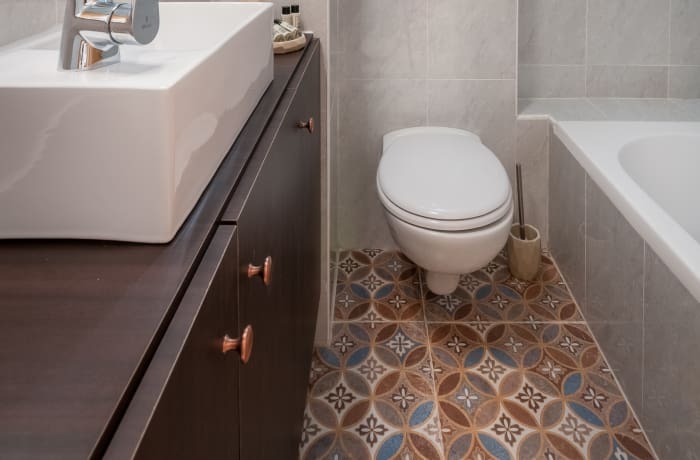 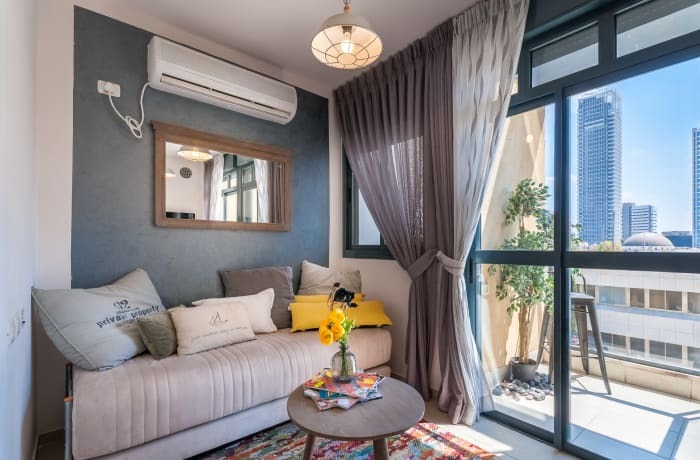 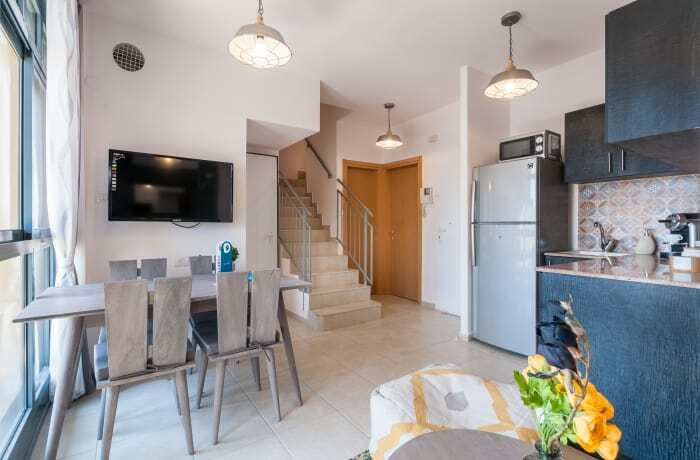 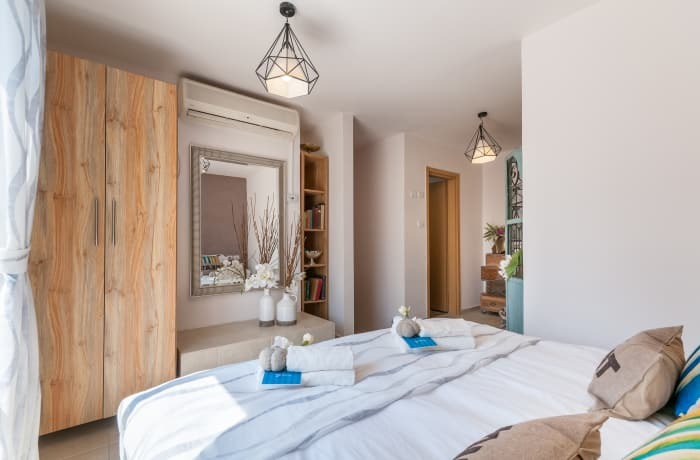 Located in the heart of Tel Aviv, the apartment is 15 minutes’ walk from the beach, and close to other iconic attractions such as the Nachalat Benyamin Craft Fair (5 min) or the star-studded Trumpeldor Cemetery (11 min). 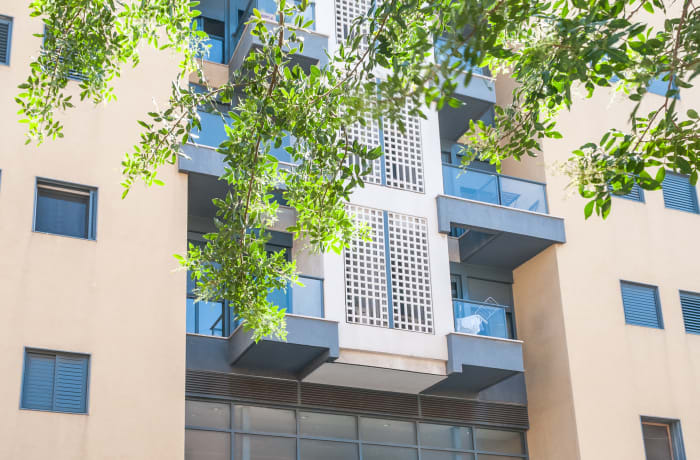 The bars, boutiques, and restaurants of Shenkin Street are nearby (9 min). 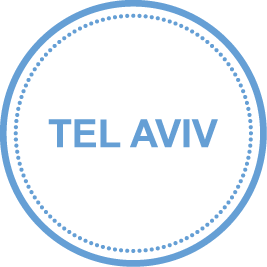 Bus stops give you easy access to the rest of the city. 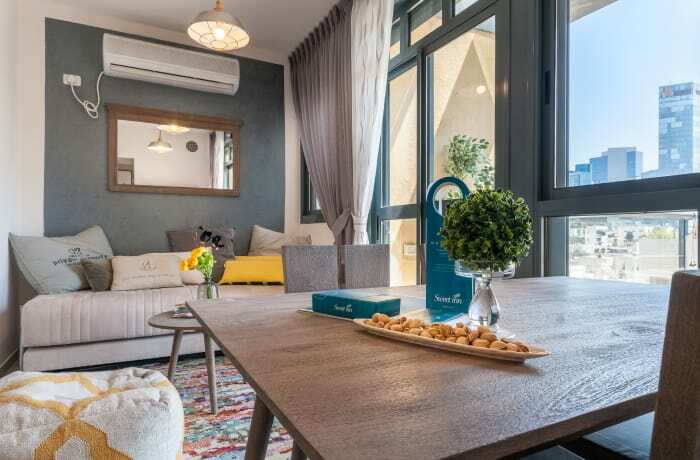 Recently renovated with the help of our local interior designer, this vacation apartment was inspired by the carefree spirit of the city. 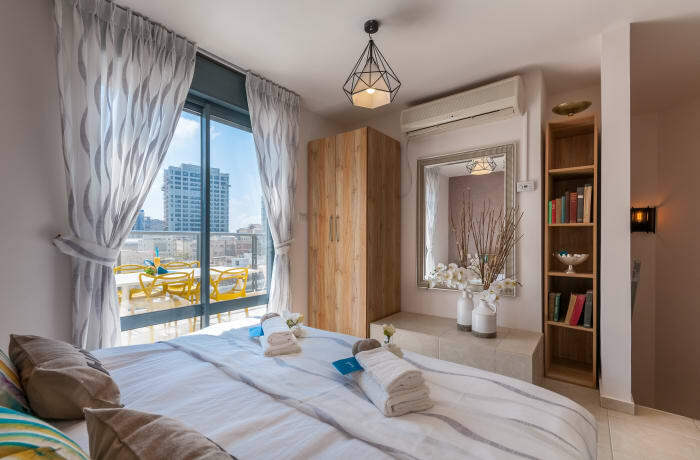 Floor-to-ceiling windows, a bright color scheme, and plenty of sunlight give a sense of summer all year round. 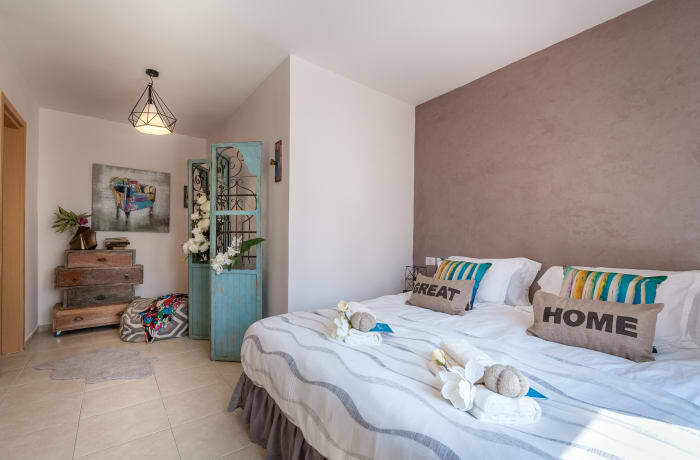 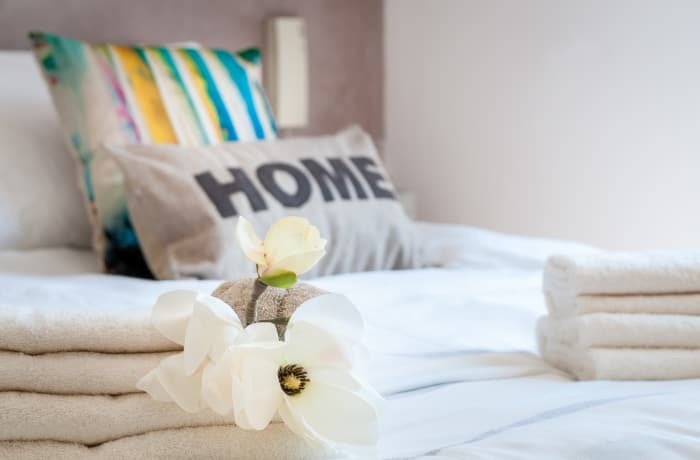 The two bedrooms each have double beds, and a double sofa bed accommodates yet more guests. 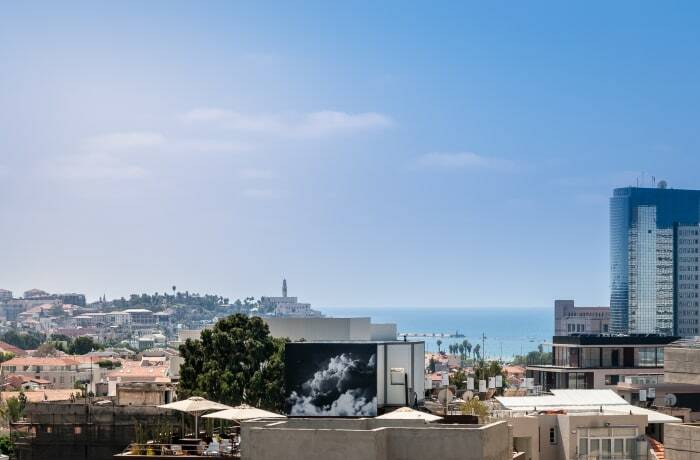 A furnished terrace offers a spectacular vista of the city and the sea. 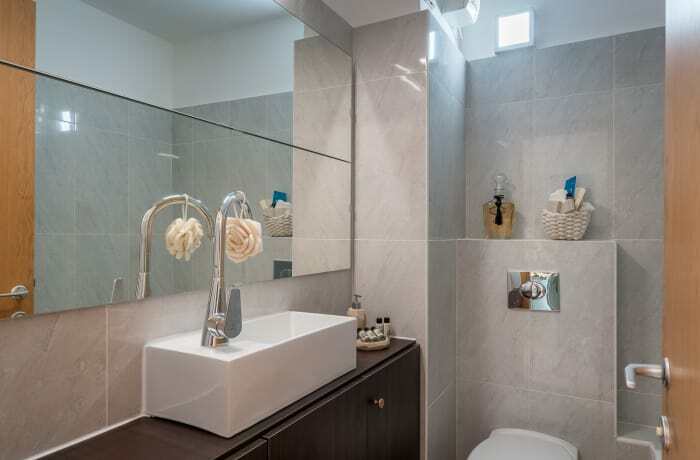 Premium amenities include a modern kitchen, cable TV, a Nespresso machine, free WiFi, high-end toiletries, and more. 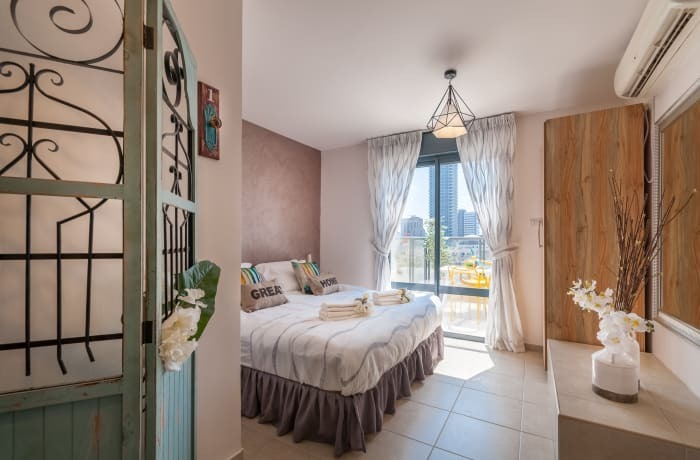 With gorgeous views and lots of space to relax, this apartment is perfect for families or groups of friends who want to experience the city.